Born and bred to play Heavy Metal, multi-platinum selling riff maestro Mark Tremonti is conceivably the most underrated guitarist of the last twenty years. Named Guitarist of the Year on three occasions by Guitar World Magazine, Tremonti has cited Thrash Metal icons Metallica and Testament as two of his biggest influences. That said, it is no wonder the guitarist/vocalist’s band, Tremonti, has reached chart-topping success across the board via their first three studio albums – 2012’s All I Was, 2015’s Cauterize, and 2016’s Dust. 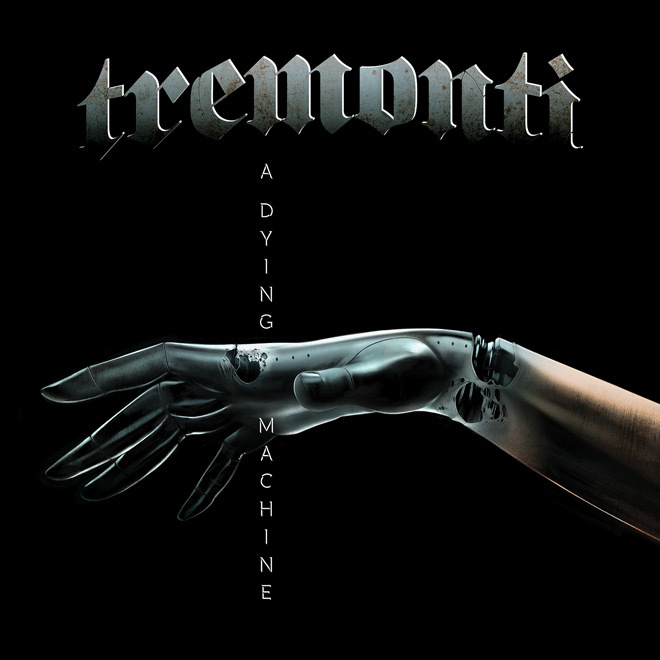 Adding to this prized collection of Speed Metal, Tremonti’s fourth studio album, A Dying Machine, is set for release on Friday, June 8, 2018, via Napalm Records. Once again teaming up alongside veteran Producer Michael “Elvis” Baskette, with Eric Friedman (guitar/bass) and Garrett Whitlock (drums) rounding out the line-up, Tremonti entered an Orlando, Florida studio in late 2017 to record his most ambitious album yet. Inspired by best-selling authors like George R.R. Martin and Gene Wolfe, Tremonti set out to cultivate his first ever concept album. Raising the bar, Tremonti crafted an engaging, emotional composition, bridging obsession, unrequited love, and destruction at the turn of the century. Regarding the plot, Tremonti commented, “Even with the concept, it’s very personal. At it’s core, this is a human story, but with a twist.” Awakening the senses, Tremonti’s labor gave birth to his finest-sounding album to date. A Dying Machine is a jagged tour of sonic goodness filled with unconstrained mechanical guitar riffs and palpitating drums. Opening up A Dying Machine, the aptly baptized “Bringer of War” is a staggering and melodic offering, categorically bringing the fight as does the next track, “From The Sky.” Epic to a degree, “A Dying Machine” is descriptive of something slowly falling apart and continues the theme into the next track, “Trust.” Here, Tremonti musically builds to a higher level at the start of the second verse, pushing to let go of the past and form a new beginning. Holding nothing back, the blunt “Throw Them To The Lions” takes out the trash in heavily slaying fashion (“Throw them to the lions and watch them drown“). Pulsating, the direct hit of “Make It Hurt” will get heads whipping before the reluctant “Traipse” contemplates the fate of another, or, possibly, its own destiny. Now, the most profound ballad in the Tremonti catalog, “The First The Last” is a painfully emotive track about undying love and regret. Thereafter, “A Lot Like Sin” gives a wicked vibe and then “The Day When Legions Burned” will physically topple large objects without warning. Needing a friend, “As Silence Becomes Me” precedes the hopeful single “Take You With Me.” Empty inside, “Desolation” speaks of losing the chance to restore life from a past aberration as the interlude “Found” closes the curtain on this magnetic adventure. 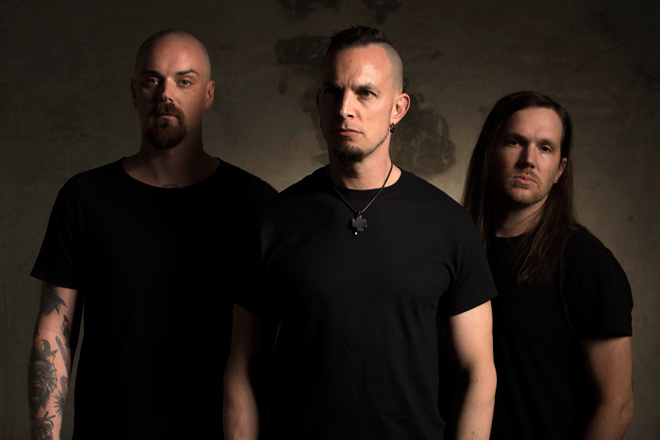 Undoubtedly, with A Dying Machine, Tremonti boldly steps into the challenge of writing a concept album. Having said this, Tremonti did in fact make the right choice and may have just launched his career to one mark above the next level. To an extent, once absorbing A Dying Machine, a listener may feel the meaning to it all still remains a mystery, thus adding to the album’s mystique. However, there will also be listeners who pick up on the pattern of lost love and loss of control with a touch of unrelated rebellion. Either way, let the meaning lay in the eye of the beholder, as Tremonti fans will love this new release and how it sinks its teeth into the mind. Gifting fans more to look forward to, Tremonti has stated a novel based on A Dying Machine is in the works, and that should be well-worth checking out! One of 2018’s best and brightest offerings, CrypticRock gives A Dying Machine 4.5 out of 5 stars.